On Saturday, October 1, 2016, the North Net Training Center will be the site for this year’s Fire Service Day hosted by the fire agencies of Anaheim, Garden Grove, and Orange City. Families will have the opportunity to personally meet firefighters, view firefighting equipment up close, see different fire apparatus on display, experience live fire demonstrations, and witness an automobile extrication, all while enjoying complimentary hot dogs and refreshments. Located at 2400 E. Orangewood Avenue in Anaheim, Fire Service Day will be open from 11:00 a.m. to 2:00 p.m. In addition to fire suppression drills, Anaheim’s CERT and RACES teams will be on hand to demonstrate key steps residents should take in the event of a major emergency, such as turning off utility meters. Members of Anaheim’s Community Risk Reduction team will also be onsite to share information about home safety, including how to test and maintain your smoke alarms. 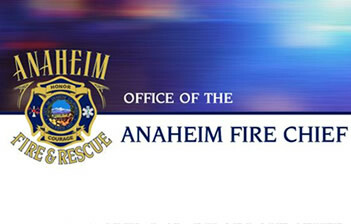 For more information on Fire Service Day, please visit www.anaheim.net/fire or contact us at 714.765.4040.